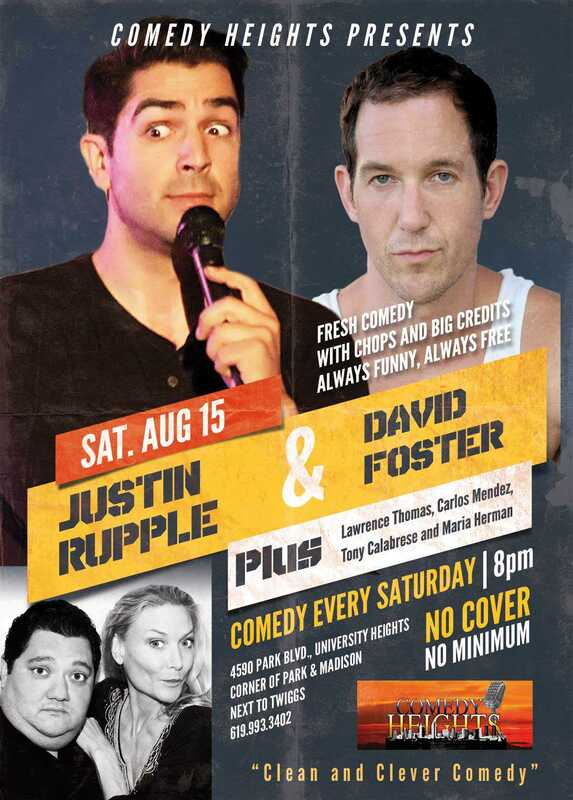 The temperature is rising in San Diego, so why not come out for some really hot comedy this Saturday? Comedy Heights loves to bring you the most sizzling comedians in San Diego, and this week is no exception! Join us as Comedy Heights welcomes Justin Rupple to the Green Room. Justin is a prolific actor and comedian, and he’s bringing his A-game to Twiggs. He’ll be joined by David Foster, Lawrence Thomas, Carlos Mendez, Tony Calabrese and your host, Maria Herman. 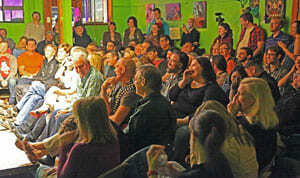 Remember, Comedy Heights has no cover comedy for you every Saturday at 8pm. And it’s always BYOB at Twiggs!